Purchase a Parks Membership and enjoy FREE admission to Kortright. Kortright is open to the public daily from 9:30 a.m. to 4:00 p.m. Extended operating hours apply to many workshops and evening programs: check event listings for details. PLEASE NOTE: Unauthorized use of Drones/Unmanned Aerial Vehicle (Drone) Photography on Toronto and Region Conservation Authority (TRCA) property is strictly prohibited. * Excludes select special events. † Parks Members enjoy free parking at Kortright. 12-month membership includes FREE general admission and parking at Kortright Centre, all Toronto and Region Conservation Authority (TRCA) parks, Black Creek Pioneer Village and Credit Valley Conservation parks. 12-month membership includes FREE general admission and parking at Kortright Centre. 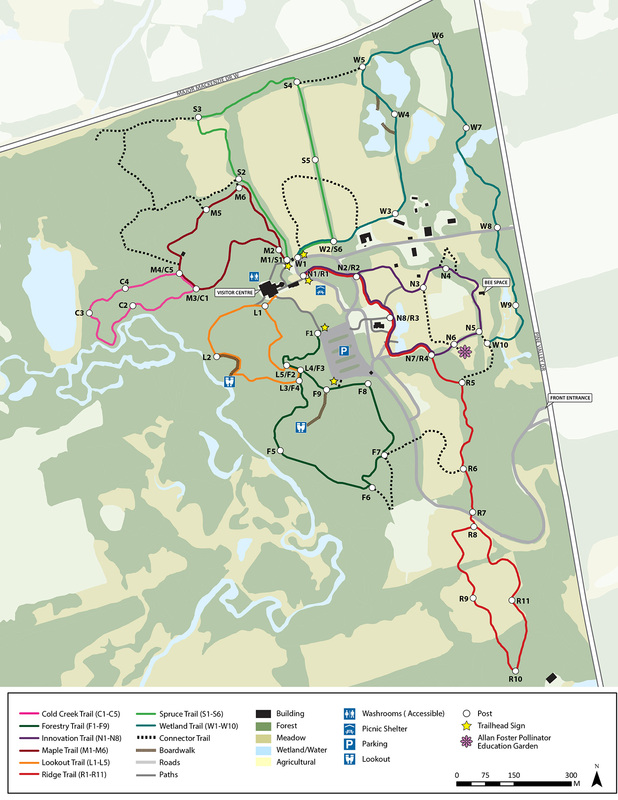 The Kortright Centre is one of the best spots for hiking and bird watching in the Greater Toronto Area. Enjoy more than 16 kilometres of breathtaking hiking trails year-round. Explore forests and meadows, follow the boardwalk through the marsh and take in the scenery and wildlife from various lookout points. Pets are kept on a leash at all times. Owners clean up after their pets. Pets are not allowed in the Visitor Centre. To learn more, please read TRCA’s Domestic Animals Policy.